The Ngāi Tahu tribal area embraces all of the South Island except for its northern tips. Te Parinui-o-whiti in the east and Kahurangi in the west mark the tribe’s northern boundaries. 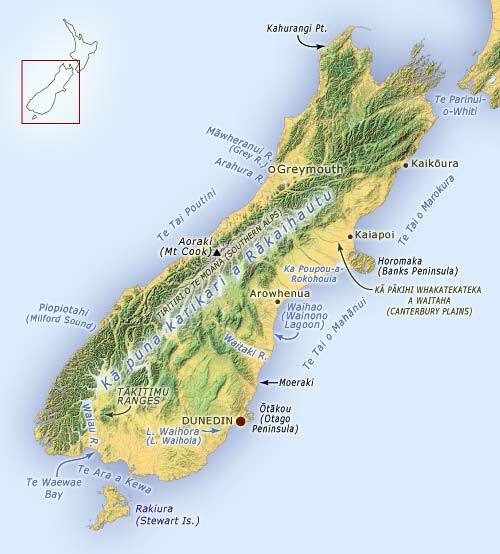 By the early 19th century, Ngāi Tahu settlements were found along the east coast from Kaikōura to Foveaux Strait. Trails penetrated inland to the sites of summer food-gathering camps, and across the alps to settlements where greenstone was found.